Carrying your data on USB flash drive seems to be more secure than just leaving on some public PC where everybody can access it. But sometimes it can pose a big problem when you loose your flash drive since you don’t know who will end up having it and maybe expose your sensitive information. 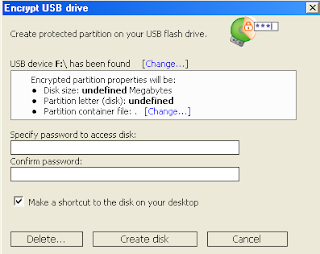 There are different ways of protecting data on your flash disk, you can either choose to invest in some expensive hardware encryption that will protect your whole USB flash, or use a simple free data encryption which works just as good as the previous method. There are many tools that can help you protect your USB data, but many of them require administrator rights to function. While in some operating systems like windows you can password protect your files individually, it sometimes require you to use a third party program to get an easier and more customizable file encryption. Rohos Mini Drive is a tool that will protect your USB stick regardless of whether you posses the administrator rights or not. It has very basic, self explanatory functions that anyone can simply use. 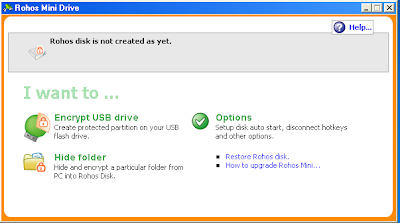 Here are a few steps on how to password protect a document using Rohos Mini Drive. Install and run, it will automatically detect your USB flash. Choose Encrypt USB Drive, a password box will pop up, enter a password and click on create disk. Wait for a few minutes as it works on your dive. After the encryption is done your can go to explorer and see a new drive has been opened up. Select and save, drag or copy paste the information on to the USB and they will be safe. 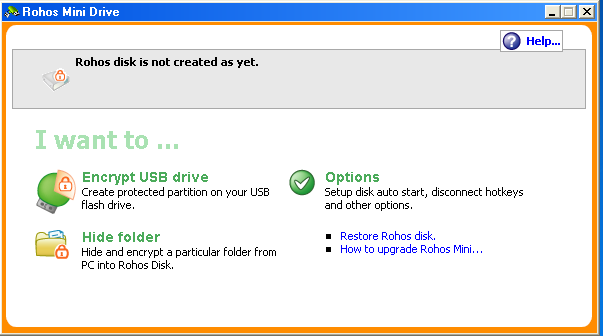 Note: Rohos Mini Drive can only save upto 2 GB of your flash drive data. If you need to protect more files there is always an option to upgrade.